Sarah joined Khalsa in 2017 as the Lower Elementary East Lead Teacher. 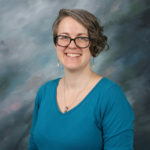 In fifteen years of combined service as a Director of Christian Education and a certified Special Education teacher, Sarah has served in various leadership roles including children, youth, and family instruction, counsel, and event coordination. She attended Concordia University, Irvine, CA and received a BA in Theological Studies and continued her education by receiving her Masters in Special Education, Cross Categorical, with a K-12 teaching certification and SEI endorsement from Grand Canyon University, Phoenix, AZ. 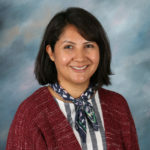 Her teaching background includes K-8th physical education, 7th and 8th grade reading, 2nd grade foreign language immersion instructional support, 5th grade learning resource teacher, and K-8 resource teacher where she provided intensive intervention and specialized services to students with learning delays, disabilities, and accelerated learning needs. Sarah continues her professional pursuits through the Montessori Elementary Teacher Training Collaborative in Lexington, MA. 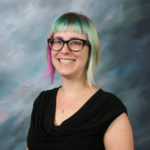 Sarah is committed to identifying and using the strengths and unique qualities of her students to design individualized instruction while promoting communication, creativity, clear thinking, and character. Beyond the classroom, Sarah enjoys time with her husband and two children, reading, traveling, and journaling. Summer joined Khalsa in 2010. She has been an assistant in the Primary 3rd Street and Upper Elementary classrooms and has supported the school as a substitute in all classrooms. She joined Lower Elementary East as the classroom assistant in 2015. Summer is an Arizona native, growing up in Phoenix. She graduated from Paradise Valley High School and studied at Paradise Valley Community College. She has worked for local and small businesses exclusively, having a strong belief in supporting local industry, and spent 4 years as the nanny for one wonderful family. Summer has found a deep connection with the Montessori philosophy, which has led her to decide to join the Khalsa family full time. In her off hours, she enjoys card games, spending time with her friends, family, her tiny Affenpinscher, Lola, and German Shepherd, Louie. 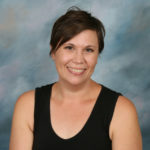 Carie joined the Khalsa School in 1999 as a lower elementary assistant. After graduating from Penn State University with a degree in Elementary Education and traveling across the country, she decided to head west to Arizona. Her immediate family, along with a change of environment, brought her to Phoenix. Outside of gaining her degree in education, Carie worked for six years as an assistant teacher in a Christian Daycare in Pennsylvania. She also held part-time positions in childcare throughout her college years. After experiencing Montessori for the first time at Khalsa and gaining a passion for the Montessori method she made the choice to become trained as a Montessori Lead Teacher. Carie has been a Lower Elementary Lead Teacher since 2004. In her free time Carie enjoys playing Taiko (Japanese drumming) and has been a member of the Phoenix Taiko dojo since 2001. She also enjoys reading and spending time outdoors hiking and camping. 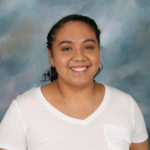 Jazmine joined Khalsa in 2018 as an assistant in Lower Elementary. She is a San Diego native, and has participated in various teaching opportunities, like tutoring at the Boys and Girls Club, being a teacher’s assistant, and taking part in the AVID program in order to be a mentor to those who are in the program now. She is currently in her third year of college at ASU, and hopes to graduate with a degree in Forensic Psychology. 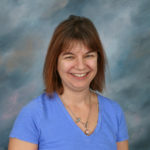 Karen joined Khalsa Montessori in 2009 as a substitute. She graduated from Arizona State University with a B.A. in English Linguistics and a minor in Design Studies. She completed her Montessori Elementary training for ages 6 – 12 through CMTE in New York in 2011. 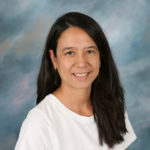 Karen taught in Upper Elementary from 2010 until 2015 when she transitioned to become the Lead Teacher in the Lower Elementary South classroom. Karen has lived in the valley for nineteen years, the longest she has lived anywhere. She comes from a family of native Arizonans. She lives downtown with her husband, their two sons, two cats, and a dog. She loves arts and crafts, book, and offbeat humor. Caroline joined Khalsa in the Spring of 2017. Since then, she has been an assistant for Upper Elementary & Lower Elementary South. For the 2018-2019 school year, she will be the Khalsa Extended Care Director! Caroline is a native of St. Louis, Missouri. She has her B.A. in History from Boston University. In her spare time she enjoys playing with her pats, comedy, yoga, and cooking new & interesting recipes! Lindsay joined the Khalsa family in 1986 as a toddler student. After working for Khalsa three summers during high school, Lindsay attended the University of California at Berkeley where she received degrees in English and Italian studies. While at Berkeley, she was a stage manager for the UC Berkeley Music Department. She also was a Satellite Science Student Presenter giving science workshops to elementary aged students. 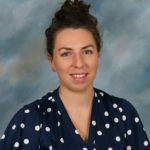 Lindsay joined the Khalsa Montessori staff in the fall of 2006 as the Lower Elementary East Assistant Teacher. In 2007-08, she became the Upper Elementary North Assistant Teacher. In 2008-2009, she became an Upper Elementary Lead Teacher. Lindsay completed her Montessori Elementary training through CMTE in New York. Komalpreet joined the Khalsa Montessori in 2018 as an assistant to Ms. Lindsey in upper elementary. She has had a passion for working with youth long before working at Khalsa, having served in youth development positions for the past five years in the Pacific Northwest. 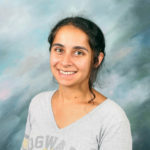 Born and raised south of Seattle, Komalpreet is a newer resident of Arizona, pursuing her Master’s degree in Justice Studies at Arizona State University, alongside this position. In her free time, Komalpreet is often hiking, cooking, or spending time writing poetry. Erika joined Khalsa’s Upper Elementary in 2017. She attended George Washington University where she earned her undergraduate degree in Anthropology. She also has a Master’s degree in Elementary Education from Trinity University. Erika started her Montessori journey as a three year old in the children’s house of a Montessori school in her home state of Maryland. She has worked in public and private Montessori schools as both a lower and upper elementary lead teacher. Erika holds her AMS Lower Elementary credential, and is currently completing the coursework requirements for Upper Elementary certification. Stephanie joined Khalsa in 2018. She has spent much of her adult life working with children and those who have developmental differences. Stephanie grew up in Arizona, but has traveled to 18 different countries and lived in four. She speaks English, Italian, and German. She is currently learning Spanish and ASL (American Sign Language). 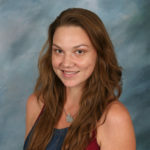 Stephanie is a life-long learner who enjoys reading, organic gardening, vegan potlucks, taking wilderness backpacking trips, and building community. 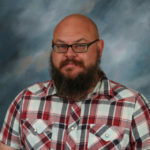 Mark Dugan started at Khalsa Montessori Elementary School in the fall of 2007 as a substitute and as the elementary physical education teacher. During the summer school 2008, Mark was the van driver and elementary after school program director. He became the Lower Elementary East Assistant in May of 2008. He is currently the Elementary P.E. Instructor and Elementary Gardening Instructor. Mark worked at the Gentle Strength Co-op for several years; he has also worked for Life’s A Garden Organic Landscaping Company and the Green Goddess Nursery. Emily Blanche is a creative and nurturing yoga teacher, respected for her delivery of yoga and meditation practices that encourage self-love, patience, and upliftment both in class and in life. With over two decades of experience, Emily serves a diverse population which includes people of all ages, experience levels, and physical abilities. Her classes integrate practices from Kundalini Yoga and Hatha Yoga traditions as well as sound healing to support physical well-being, stress relief, and peace. Emily embarked on her exploration of yoga in 1992 when she began studying Kundalini Yoga and met Yogi Bhajan, the master of Kundalini Yoga, in 1993. She became a certified Bikram Yoga instructor and started teaching from that tradition in 2002, furthering her training and offerings to include Vinyasa style classes by 2008. In 2009, Emily completed her certification as a Kundalini Yoga teacher and, in addition to teaching in yoga centers, helped to develop and teach outreach programs that served clients with Dementia, Alzheimer’s Disease, and Autism. An intensive meditation training led her to travel and study in India, after which she began leading gong meditation events. She received training and certification in Kid’s Yoga and taught yoga and sound healing to youth at CASS (Central Arizona Shelter Services campus) starting in 2012. Since that time, her yoga classes and gong events have expanded around the Phoenix Valley and, with becoming a mother in 2014, she has developed further events that support mothers and families. Emily has been involved with the Khalsa Montessori community as a substitute both in the classrooms and the Yoga class for years. She is excited to join the community on a permanent basis and looks forward to enriching the lives of Khalsa students.